Technics:Logo print, UV, assembling the ribbon and pin，MATTE FINISH. Usage:used for garment, cases and bags,hats,shoes, etc. 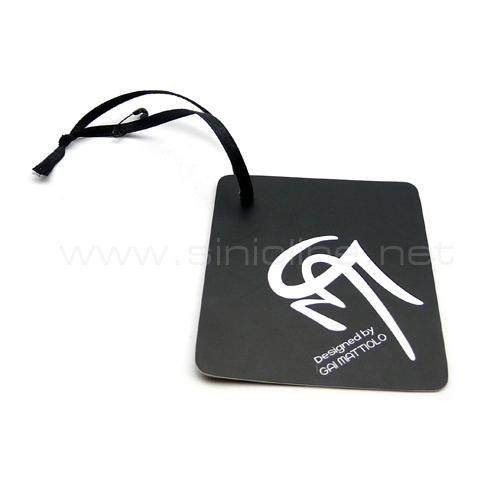 Description:paper hangtag with ribbon and pin,MATTE FINISH ,used for garments,cases and bags, hats and shoes,etc.